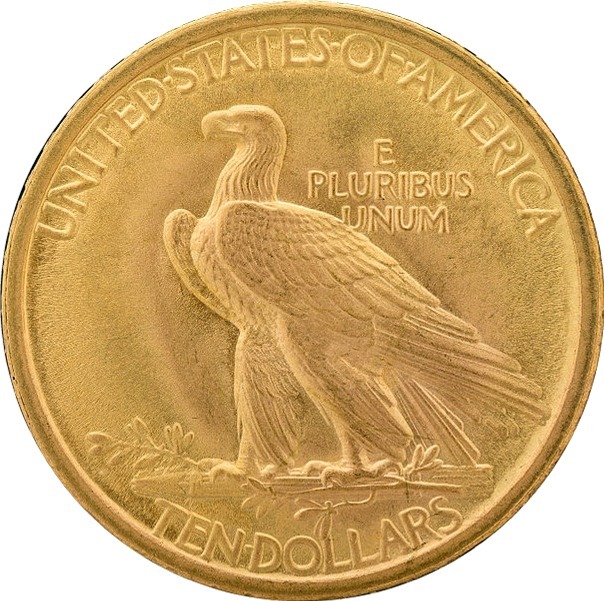 The $10 Indian Head Eagle gold coin, also know as the $10 Eagle, minted from 1907 to 1933, is considered to be one of the most beautiful American gold coins produced by the U.S. Mint. Its production came about through the insistence of President Theodore Roosevelt. He did not like the current design on his Inaugural Medal that was designed by Charles E. Barber and George T. Morgan, nor other coins being produced by the mint at the time. President Roosevelt commissioned the sculptor Augustus Saint-Gaudens for the task of coming up with a new design. Saint-Gaudens accepted this assignment, but was so terribly busy that he only had time to sketch out some rough ideas on a paper napkin while making the train trip from Washington. He had told President Roosevelt that he would need to have his associate, Adolf A. Weinman, to do most of the actual work on the design. Collectors today will probably know Weinman for his work on the Mercury dime and the Walking Liberty Half Dollar. 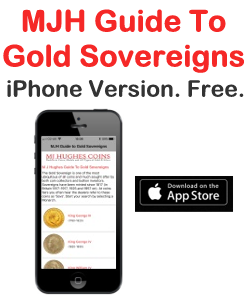 Several modifications of the initial design were made for reasons of minting problems and the $10 Indian Head Gold coin was finally released to the public. There were 239,406 of these that were put into circulation in the fall of 1907. They continued using this last design until the early part of 1908. Indian Head Eagles are 26.80 mm in diameter, weigh 16.718 grams and are composed of .900 fine gold. The reverse depicts a standing eagle, wings slightly spread, regal in appearance. The obverse depicts Lady Liberty wearing a Native American war bonnet. The edge of the coin is unique decorated with 46 raised stars for the 46 current states in the union at the time instead of the typical reeded edges that had become so common. President Roosevelt strongly felt that using the words In God We Trust was blasphemous so they did not appear on these new coins at first. So there were 33,500 of these coins made in Philadelphia, and another 210,000 in Denver that did not have those words on them in 1907 and 1908. However, Congress was not happy with this decision and insisted that the words be put back on the coins. 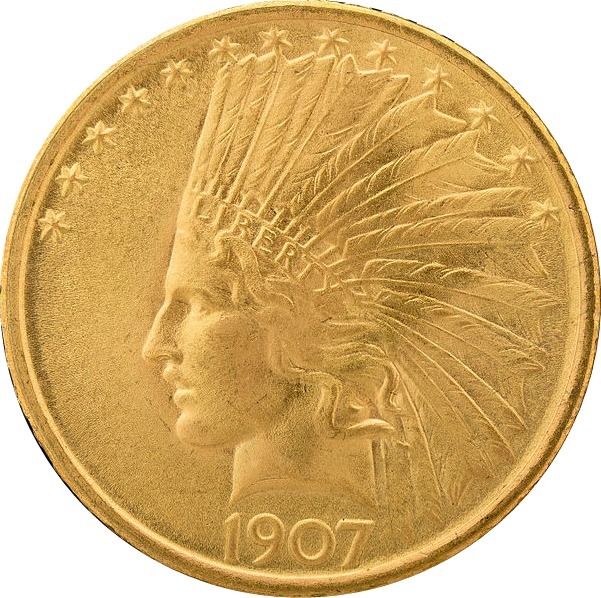 In 1908 they appeared to the left of the eagle on the back side of the $10 Indian Head Gold coin. The mint marks for Denver (D) and San Francisco (S) appear to the left of the bundle of arrows the eagle is standing on. There is no mint mark for $10 Indian Head Eagles produced in Philadelphia. While there were regular issue coins that were made at all of the mints from 1908 to 1911, and then in 1914, only Philadelphia and San Francisco Mints made eagles in 1912, 1913 and 1915. They were made only in San Francisco in 1916 and 1920. As far as collecting goes, there have been a few of both the 1930-S and the 1933 $10 Indian Head Gold coins that have shown up periodically. If you are looking for scarce and rare coins to add to your collection, you will want to search for the ones with 1909-D, 1911-D 1913-S, 1915-S and 1920-S. All of these coins are rare, especially in mint state condition. So you are a lucky collector if you find any of them. Common date Indian Head Eagles are widely available in mint state certified condition at reasonable prices. 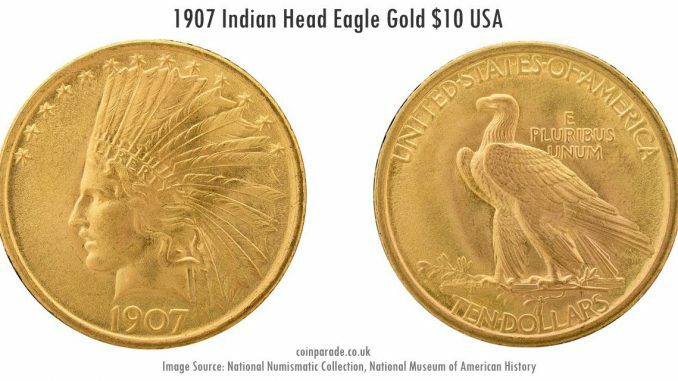 The $10 Indian Head Eagle was well received when introduced to the public in 1907 and continues to be popular with collectors today. An avid fan and collector of American gold and silver coinage, John Douglas writes extensively on the history and mintage of pre-1933 American Gold Coins. 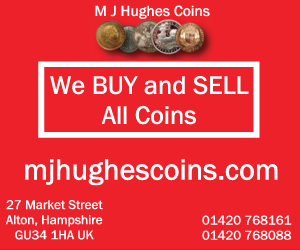 Find in depth information about collecting American Gold Coins, their history and design, and supplies for all coin collectors at www.americangoldcoinshop.com. Image source: National Numismatic Collection, National Museum of American History.